They say a picture is worth a thousand words and in most cases, it tells the story just as well, if not better than written words. Hiking cameras give you the chance to capture your experiences in the outdoors with accuracy and precision that a cell phone simply can’t. Buying a new camera may sound like a simple task, but with the sheer number of camera types, it can turn into a daunting endeavor. 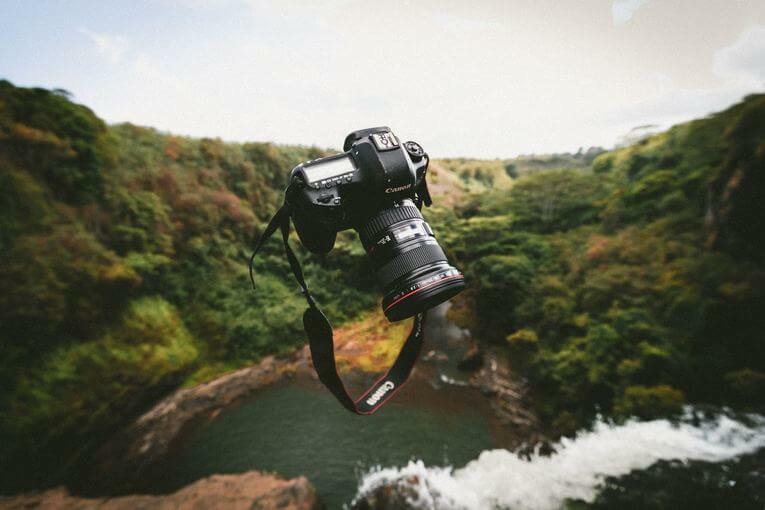 We put together a comprehensive list with the best cameras for hiking and backpacking and broke down the important features to consider when choosing a camera for your next outdoor adventure. Cameras are a fantastic way to capture moments in time on adventures outdoors to places that only your legs take you. Here’s our picks of the best cameras for hiking and backpacking on your next wilderness adventure. The Canon PowerShot G9X Mark II is an ultralight and compact camera that makes a perfect hiking companion. It’s the entry level camera in the G9 series, however, it pulls away from the competition due to it’s tiny size and images that are far superior to any smartphone. Premium and compact 1.0 inch sensor cameras have found their niche in recent years, thanks largely to the sensors delivering high quality images. Most 1.0 inch compacts cater to the experienced photographer and come with advanced (confusing) controls. Canon realized this and stripped away much of the unnecessary features to deliver an intuitive and compact camera anyone can pick up and use. The Canon PowerShot SX530 is on the smaller side of cameras that are available with a 50x zoom ratio, however, it doesn’t leave out premium features to get there. The Superzoom mode on this camera utilizes a 16 megapixel CMOS images sensor which supports 1080p video capture and the control layout is easy to use for a point and shoot. This camera comes with a deep handgrip and a large lens that sticks out from the body. However, the lens does not detach from the body and there’s no electronic viewfinder. 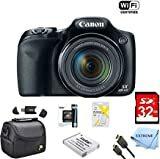 The best part about this camera, besides its compact size and weight, is that it comes with a number of features to help the newbie capture excellent photos. This camera measures 4.72 x 1.77 x 2.64 inches with a compact body that is roughly half the size of a standard DSLR camera, making it a great option to throw in your pack on the trail. The body is built with composite materials and weighs a total of 12.1 ounces, however, it has the feel of a well built camera. The combination of the 24 megapixel sensor, rapid autofocus system, and high speed continuos shooting, this camera can keep up with fast moving objects (like a waterfall). The settings on the camera can be overwhelming at first, but this allows you to set your camera up just the way you like it. 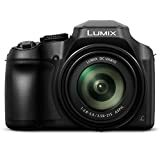 The Panasonic LUMIX FZ80 is a superzoom bridge camera with a resolution of 18.9 megapixels for photographers on a budget. Bridge cameras give you a powerful lens which shoots wide-angle shots along with extreme telephoto. The lens isn’t removable so you have one less thing to pack and one less thing to carry. It’s an easy to use, all in one camera that also offers advanced functions for the more experienced photographers out there. It’s a small and lightweight camera that is easy to throw into your pack and is capable of capturing amazing images. The A7R is a high resolution, full frame, mirrorless camera. The specifications are top of the line, with a 42 megapixel sensor, 10fps continuous shooting, a hybrid AF system, and 4K video recording. This version of Sony’s A7 line of cameras is a remarkable camera with an impressive combination of resolution, high ISO image quality, and shooting speed. The Sony A7R offers excellent image quality in a compact body which makes it an awesome trail companion. The compact design offers image quality which rivals high level cameras in a size that can slip into your front pocket, even when the lens is attached! The Go Pro series of camera have taken the world of adventuring by storm since their inception in 1997. This series of cameras is world famous for capturing skiing, snowboarding, underwater sports, and surfing in a away that makes you feel like you’re right there with the person. The newest edition of the Go Pro series of cameras is the Hero 7, which is a tiny waterproof 4K camera that rocks top of the line electronic image stabilization. There’s a 2 inch touchscreen on the back of the camera which is bright enough and sharp enough for quick previews of all your shots. Go Pro is more geared towards recording video, however, the wide angle shots with the 10 megapixel camera is a great way to capture your next hiking or backpacking trip. The Cyber-shot RX-100 is Sony’s first pocket sized advanced compact camera. The 20 megapixel camera captures extremely sharp images at high ISO settings and even in low light situations. The autofocus feature has variety of controls and shoots full HD video at 50 frames per second. As far as point and shoot cameras go, this is one of the best. You can fit it into the pocket of your coat or sweatshirt and it captures detailed photos and video that are better than you can get with any smartphone available. The high price point is a major drawback, however, if you’re serious about photography and want to capture special moments with the best images possible, this may be the right camera for you. Shopping for a digital camera can be overwhelming at first since there are so many different styles to choose from. We’ve included a quick breakdown of the 4 types of cameras on this list: compact mirrorless, DSLR, point and shoot, and adventure cameras. Each camera has its own set of advantages and disadvantages which may or may not be the right for you. Compact cameras, also known as point and shoot are inexpensive, entry level cameras for the beginning photographer. They are small and easy to fit into a pocket and come with standard settings that work out of the box. Out of all the cameras available, point and shoot are the most user friendly options available. They come with a built in flash, zoom lens and assess each scene to determine the correct exposure levels. They typically have a smaller sensor which doesn’t allow for quality large prints, however, they are perfect for the hobbyist or those of us just starting out. Mirrorless cameras are the next step in the progression of advanced camera technology. They offer similar features as a DSLR camera, but they are smaller, lighter, and are typically less expensive. “Mirrorless” means the camera doesn’t have an internal mirror that reflects light onto the sensor. The light that enters the camera comes in through the lens and goes directly to the sensor which then transmits the information onto the LCD screen. 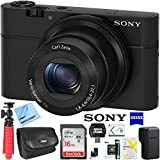 Mirrorless cameras are able to capture incredible, high resolution images which are comparable to some of the top DSLR cameras at a more affordable price point. Bridge cameras is a general term for cameras that walk the line between a point and shoot and a full DSLR. They come with a limited degree of manual controls, viewfinder, long range lens, and typically don’t have interchangeable lenses. The design of bridge camera have a blend of features found in a point and shoot and DSLR and could be referred to as a “DSLR light”. They retain the accessibility and user friendliness of a point and shoot with lenses that can’t be swapped out. Bridge cameras are a great camera for the outdoor adventurer who doesn’t want to pay an enormous price while maintaining high quality photographs. Action cameras have grown in popularity at a rapid pace in recent years with more and more models hitting the market every year. They are similar to point and shoot cameras in a lot of ways but have all the features to withstand extreme conditions. These cameras are weatherproof, shockproof, waterproof and can be completely submerged underwater without concern. They are extremely small, yet offer versatility and high resolution images in any and every environment. DSLR’s are larger and heavier cameras designed for professional photographers and amateurs as well. Most of the cameras that the pros use are DSLR’s, however, mirrorless and bridge cameras are quickly gaining traction. The higher end models come with a full frame sensor and the more affordable models have a cropped sensor to keep the manufacturing costs down. The lenses for these cameras range in quality and are interchangeable. This also means that if you choose to have multiple lenses you have more gear to pack with you. DSLR’s give you a wide variety of settings along with a number of creative controls. You can always take photos in automatic mode or you can use a manual mode you set up to snap the perfect picture in every possible setting. We didn’t include any DSLR in this round up, due to the fact that we don’t believe they make the best cameras for hiking because of their high price point and multiple pieces of extra gear to carry. When looking for a camera the sheer number of features can be intimidating for the casual user or anyone besides a professional photographer. We’ve taken some time to dissect what to look for and what the different features mean, in layman’s terms. The size of the camera is an especially important consideration for a camera you plan on using during a hike. The last thing you want is a bulky camera that’s a nuisance to carry with you or get out of your backpack. Another factor to take into consideration is how you carry the camera. Some cameras will fit into a pocket of your jacket while others will only fit around your neck or in your backpack. Carrying a camera around your neck is fine in short distances on light terrain, but when you get into a strenuous climb, a camera around your neck gets annoying fast. Since hikers and backpackers are always looking to shave every ounce at every possible place, keeping the weight of a camera as low as possible is the ultimate goal. Whether you choose a point and shoot camera or a high priced DSLR camera, you have to be prepared to add some weight to your pack. The camera’s we chose on this list are all under 1.5 pounds and we feel that this is the sweet spot. A general rule of thumb is the heavier the camera the higher quality of photos. Arguably, the single most important feature of any camera is the image quality. 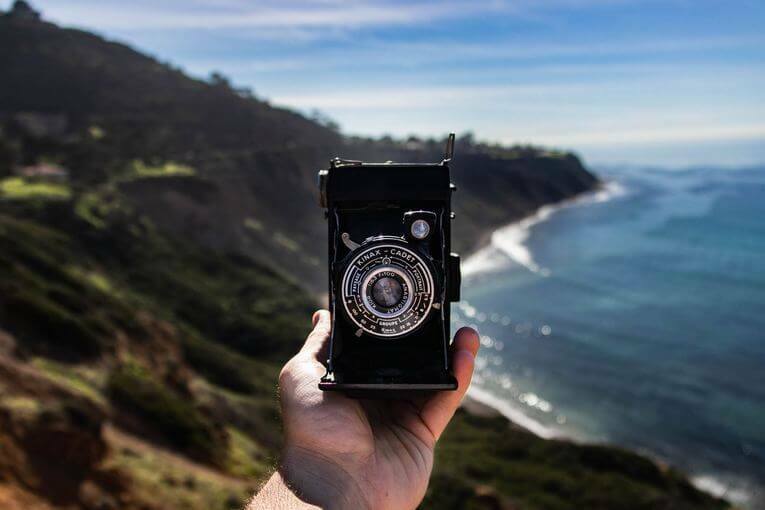 With the rise in popularity of smartphones and the improvement of their cameras, it HAS to take amazing images to make you ditch the smartphone. Image quality is a blend of a number of features that include: sensor size, resolution, ISO performance, color rendition, and handheld vibration reduction. You don’t have to be a professional photographer to take professional images these days and each of these cameras has a great balance of features with image quality to make them worth it. One of the most annoying parts of getting a new camera is fumbling around with the smorgasbord of settings to snap a single photo. Considering that most of your energy is hiking is spent on the trail, you want a camera that’s easy to use out of the box. An intuitive user interface and the ability to point and shoot without scrolling through a laundry list of settings is the ultimate goal. Since your going to be using the camera on the trail, with potentially cold hands, gloves, or sweaty hands, it’s super important to have a camera that is easy to operate. As the saying goes, “You can’t always get what you want”. Hiking is more or less just a waiting game for rainfall. Weather sealing is your cameras ability to keep moisture out and it’s important to understand, this does not mean the camera is waterproof. Weather sealing basically just means that your camera has a metal body and can handle a little rainfall here and there. There is no universal standard for what makes a camera weather sealed, however, the buttons, joints, and body of the camera are usually sealed with rubber to keep moisture out. You can have all the bells and whistles on your camera, however, all those fancy words and setting don’t mean much if you don’t plan on pulling it out of your bag. The best camera for hiking and backpacking is the one that you’re going to use. There’s no reason in spending the money on a camera if you don’t plan on using it. All the cameras on this list were carefully chosen to meet all the standards that make a great hiking camera: lightweight, compact, high resolution, and easy to use. If you have any questions or comments we’d love to hear them! As always, get lost and keep wandering.